Well, now Vultr has introduced 512MB VPSes (locations in North America, Europe, Asia and Australia) starting from $2.50 so let’s see how these perform as a Windows VPS! The $2.50 VPS has 1 CPU, 512MB RAM, 20GB HDD and 500GB bandwidth. Windows 7 installed perfectly fine, and took about 20 minutes including downloading the custom ISO to the node and booting it. After installing Windows 7, I left the paging file size at the Windows managed default (1GB) and disabled visual styles. Performance is great. The fast SSDs make it feel extremely snappy, even though it just has 512MB RAM. To load speedtest.net I needed to install Adobe Flash. This took less than 30 seconds to download and install. I then downloaded and installed Adobe Photoshop CS2 (as the free trial is available to download from Adobe without registering). It took about 10 seconds to extract the files and folders from the ~400MB zip file, and the Photoshop installation took about a minute. Photoshop opened almost instantly and was very much usaable, even with 512MB RAM. I could even keep Photoshop open in the background and browse the ineternet, on Internet Explorer, over remote desktop! 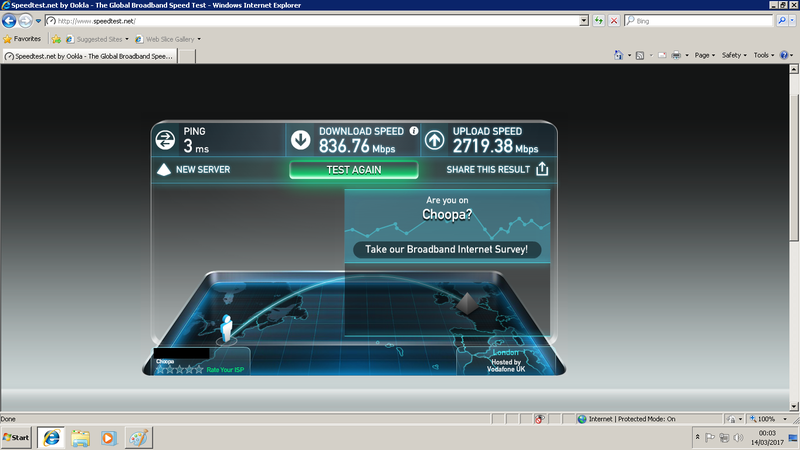 Here is a speedtest I did. When I created the VPS I selected London, UK as the location but for some reason the IP geo-locates to NJ where Vultr is based. 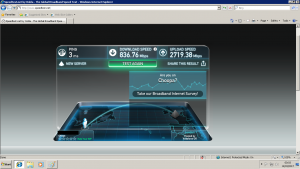 So here is a speedtest from the UK to the UK. After playing with this VPS for a while, it’s certainly usable for a remote desktop! As it’s in multiple locations across 4 continents, you should have no trouble with latency. And how can we forget it’s only $2.50?